It depends. Sometimes even when there's a Rov present the people act like he's not present! And therefore you're better off in the other place. But suppose all things being equal, and one place has somebody who has a certain responsibility, authority; no question. There is another reason. I must tell you something that happens all the time with me. A woman calls me up-her husband is terrible: he's brutal, he's selfish, very many times this happens. So I say doesn't your husband have a Rabbi? No he has no Rabbi. He goes to one Shul Friday night, Shabbos morning someplace else, Mincha he goes someplace else, in the weekday someplace else, he doesn't have a Rabbi! He never says good Shabbos to the Rabbi, he doesn't even know the Rabbi. So he doesn't have a Rebbe! To whom can she complain, to a stranger? If there's a Rov to whom he feels a certain attachment, he likes the Rov to have a good opinion of him, that could help out very much. Otherwise he's an orphan, who should she talk to? You should never marry a man who doesn't have a Rebbe, otherwise who knows what's going to happen, to whom will she complain? If he has a Rosh Hayeshiva at least, his old Rosh Hayeshiva could be appealed to and could have an influence on him. There's nobody at all in this world, a self-made nobody! A self-made man? Then who could you appeal to, to influence him? That's why it's very important, very important, to have somebody, a gavrah d'mistafina, a person you're afraid of; then your wife won't have to call up at all. The mere fact that he is somebody that you're afraid of already makes a mentch out of you. It's very important, very important. What should you think when you’re counting Sefiras HaOmer? Now everybody knows, that we’re counting Sefirah to come closer to the very greatest event in history; and that event was Matan Torah. Like the Gemora says, Vayhi Erev Vayhi Boker Yom Shishi, Yom HaShishi, it doesn't say Yom Shishi, Yom HaShishi. Why the "Hey," HaShishi? Because the sixth day was the most important day in the whole world. The whole world was made for Matan Torah. And so we are counting, we are counting to that day. But there’s a Kasha on this P'shat. Why do you say, today is so many days, and the next day more? You should count less! Let's say, today is 50 days before the Omer, next 49, 48, 47, that's how you should count, because you're waiting for Matan Torah. I want to make sure the Kasha is understood. You should go from the bigger number to the lesser number. And the less days there are, the happier you are? And why call it, Sefiras HaOmer? Call it Sefiras Hatorah. Why Sefiras HaOmer? What's it got to do with the Omer? Now pay attention. There is a Machlokes HaPoskim, if the Brocho on Talmud Torah is a D'oraysa. Now we follow the Shita that it's M'doraysa. If you are in a Sofek if you made a Brocho on the Torah in the morning, you have to do it anyhow. It's a Sofek. In case you want, you can wait to Ahava Rabah, the Brocho before Krias Shema, and be M'chavain that you are thinking of Birchas Hatorah. But you must do it. But some Poskim say, Birchas Hatorah is M'drabanan. When it comes to the Brocho on eating bread, everybody agrees it's D'oraysa. Isn't that an interesting thing? The Brocho on eating bread, Birchas Hamazon, is D'oraysa. Hakol Modim, "Eretz Asher Lo B'miskainus Tochal Bo Lechem", V'achalta, V'sovoto, Uveirachta. So what do we see from this? That bread is more important than Torah. Bread is more important than Torah, because bread is life, and life is the most important thing. Without bread you couldn't learn Torah. Not merely you say Im Ain Kemach Ain Torah,that's a different idea. Kepshuto, bread is the opportunity to live in this world. Now, we thank Hakadosh Baruch Hu for the bread. And every day we say, “Today is the first day we’re thanking you for the bread.” The second day, “THE OMER IS BREAD! !” Third day, fourth day, keep on thanking. Now what does it all end up? It ends up in Matan Torah. Bread is for the purpose for learning Torah. We are thanking Hashem for giving us Life, Baruch Hashem. So when you sit down to eat bread every morning, Pas Shachris is a Mitzvah, Pas Shachris is a Mitzvah to eat the Gemora says. Eat bread every morning. That little piece of bread, Pas Shachris, will save you from many illnesses, many sicknesses, if you eat Pas Shachris. When you eat that piece of bread, thinking, “AAH, bread that's Torah, that's Life, that's everything.” And you say, “Baruch Ata Hashem, Hamotzei Lechem Min Ha'aretz,” say it with Hisragshus, with excitement. Love Hashem for the bread. Because bread is going to bring you to everything else. And that's what Sefirah comes to tell us, how great is the Matana that Hashem gives us. Poseach Es Yodecha Umasbiah Lechol Chai Ratzon, and the purpose is, in order eventually to bring us to Har Sinai , to Matan Torah. 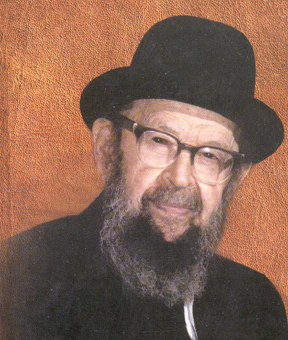 Why was Matzoh chosen to be the symbol of chipazon? Matzoh is the food, bread is the mainstay of a person’s nutrition. Bread is called the mashein lechem, the staff of life. The most important nutrition of a person is his mind. Because as we said before, the purpose of the whole story of Mitzraim was to create siechel in us; deiah, emunah, understanding. That's what Mitzraim is for. We were in Mitzraim, and all the nissim were lamaan teidah, you should know. And just like bread is the most important item of our menu, so we have to know that the most important thing that we have to get out of life is emunah. And therefore the Matzoh is the vehicle that brings us this lesson. So as you eat the Matzoh, chew the Matzoh and swallow it, and think of the lesson of chipazon the lesson of mamleches kohanim. You're a kohain eating a korban minchah. Also by the way, Matzoh tastes good, too. As you enjoy the Matzoh and you say mechalkail chaim b'chesed, You’re feeding the living with kindliness; it's for a purpose, too. Bread as you eat it and you enjoy it, it gives you nourishment. It’s what the purpose is of you enjoying the bread: Ba'avur shmo hagadol, for the sake of His Great Name, ki hu kail zun umefarneis lakol, that He is the one that feeds everyone. So as you’re eating the bread and it causes you to thank Hashem, bread has to give you emunah. If you eat bread without getting emunah, so the bread is wasted. It says openly: Hazon es haolam kulo, what's the purpose? Ba'avur shmo hagadol, for the sake of His Great Name. It means that we should recognize His Great Name and speak about Him. So the purpose of the bread is, to arouse within us a recognition of the wonders that Hashem performs when He creates bread. Where does bread come from? Bread is nothing but carbon dioxide that comes from the air, mixed with some sunlight, and some water, and a small amount of materials from the earth; that's bread. And now it becomes a life giving substance called bread, that's Hashem. So when you eat bread it's supposed to give you emunah. So besides Matzoh which gives you all these lessons, Matzoh is also hamotzi lechem min ha'aretz. So you can enjoy the Matzoh, too, and think how good the Matzoh tastes. It's a pleasure to eat Matzohs, certainly, it's a good change from eating bread all the time. And as you're enjoying the Matzohs you're enjoying all the lessons that Matzoh and bread give you. Ein maftirin achar haPesach afikoman, after eating the Korban Pesach you can not conclude with eating dessert. Now today, we don't have the Korban Pesach so we eat a piece of matzoh called afikoman. Which means that after that piece of matzah we can't eat anything. Why? The reason is given as follows: When you eat the korban pesach, it was the end of the seudah. Pesach ne'echal al hasova, it was eaten at the end of the seudah. Pesach night first they ate everything else, and then they ate that kezayis, the piece of the Korban Pesach, broiled meat. They wanted that, that taste should remain in their mouth's as long as possible. The taste of the mitzvah should not be washed away by other things. That's what the father says, when the chochom says, muh ha'aidos v'hachukim, tell us my father, something about Korban Pesach. The father says my son, I'm going to teach you things about Korban Pesach, about the Torah, about Hashem, but one thing I want you to know, what I tell you should remain in your mouth forever. The taste should not depart. Sometimes in the beginning the child is interested, but later on as he gets older, he's sophisticated, no! The taste should always be in your mouth. And so the Korban Pesach should remain as long as possible, even when you wake up in the morning after Pesach night, you still have the taste of the Korban Pesach in your mouth. And that's a remez, that when you learned the great ideals that Hashem wants us to learn in our youth, ein maftirin, don't let anything wash it out of your head. Literature, business, whatever else there is in the world, watch out! Nothing should wipe out the lessons that you imbibed when you were idealistic, when you learned them in your youth.